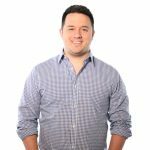 If your company is thinking about hiring a search engine marketing agency, you’ll want to do your research first to find out what it is that you should actually be looking for. Don’t just blindly hire any old agency that promises to get all our top keywords ranked in record time! You need a company that knows how to work within the new rules of SEO and has a proven track record of success. SEO is a personal business. If the search engine marketing agency you’re working with has no interest in learning the “in’s and out’s” of your business or identifying who your target clientele may be, then you’ve tied your horse to the wrong cart. This initial process is so important because an SEO firm will recommend keywords, develop content and establish an entire strategy around their perceived notions of who your prime audience is. The research must be done up front and must be done right in order for the rest of the process to be efficient and smooth. As Matt Cutts says, it’s time to “focus on the end user.” What does this mean? Well, it means in order to succeed at SEO, you have to have a great website with quality content that is constantly updated. After all, that’s what the end user wants, isn’t it? 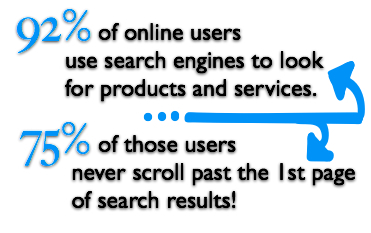 And we all know that those prospects are searching online for you, but they don’t have a long attention span.The stats tell us that most of them will never scroll past the first page of SERPS. You have to cater to your potential clients’ need for information and get your site in front of them as quickly as possible. Some SEO companies have not taken well to the recent shifts in Google’s requirements, but here at Farotech, we like to think that Google has actually made it easier for us to do SEO in a way that makes sense. It’s not about tricks and shortcuts. Doing it right does take work and it certainly takes time, but a good search engine marketing agency will appreciate the opportunity to pursue quality, logical content marketing.